At The Law Office of Tony Ramos, P.C., our Tax Debt Relief Lawyers represent individuals who are facing wage garnishment because of back owed tax debt. With 40 years of legal experience, we know just how both the IRS and state agencies operate. If your hard-earned salary is being taken to pay back what you owe, it is important that you seek representation right away. Our San Antonio tax debt relief attorney and legal team are prepared to handle your garnishment issue to get you the financial results you need. Need help with Wage Garnishment? Get in touch with our Tax Debt Relief Lawyer in San Antonio, TX! Our San Antonio tax debt relief lawyer has great insight into the way the IRS thinks and the actions they take against taxpayers. Our background allows us to navigate a wide range of tax debt collection issues with ease, guiding you towards an intelligent solution. Should you choose our firm to represent you, you can rest assured that we work to protect your rights and ensure you are aware of your options. If an issue does arise that needs to be resolved, we can offer a number of favorable resolutions. 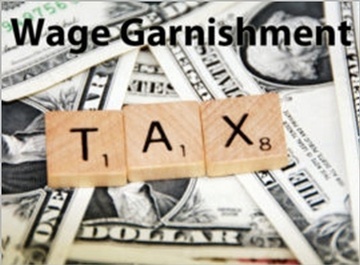 The IRS takes wage garnishment very seriously and so should you. If you would like to avoid losing a part of your earnings, it is vital that you retain representation from a San Antonio tax debt relief lawyer right away. Our firm can look over your individual tax case and provide you with effective defense against any type of audit. Throughout the years we have been in practice, we have earned a reputation for our dedicated services and availability to our clients. We also offer services in Español for your convenience. Contact The Law Office of Tony Ramos, P.C. - Tax Debt Relief Lawyer in San Antonio, TX.